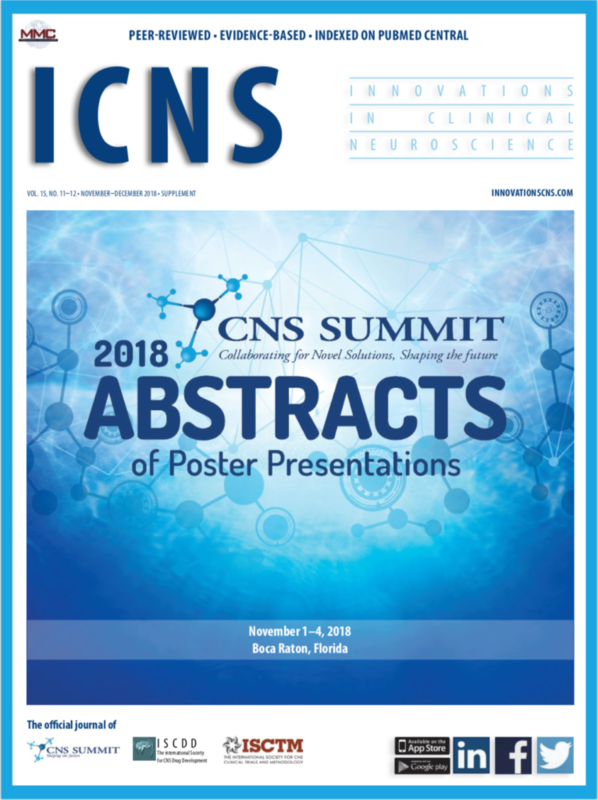 This site, including e-Editions, newsletters/reports, and any ancillary product related to Innovations in Clinical Neuroscience, and all of its content is copyrighted 2004 to present by Matrix Medical Communications. All rights reserved. Content may not be reproduced or distributed in any way, including (but not limited to) hard copy distribution, email distribution, or distribution via any website, without express written consent by Matrix Medical Communications (fee may apply). Opinions expressed by authors, contributors, and advertisers are their own and not necessarily those of Matrix Medical Communications, the editorial staff, or any member of the editorial advisory board. Matrix Medical Communications is not responsible for accuracy of dosages given in the articles printed herein. The appearance of advertisements in this journal or on this website is not a warranty, endorsement, or approval of the products or services advertised or of their effectiveness, quality, or safety. Matrix Medical Communications disclaims responsibility for any injury to persons or property resulting from any ideas or products referred to in the articles or advertisements. Editor’s Note: The cases presented in the Psychotherapy Rounds series are fictional and created solely for the purpose of illustrating practice points. Any resemblance to real people is strictly coincidental. When visitors leave comments on the site, we collect the data shown in the comments form and also the visitor’s IP address and browser user agent string to help spam detection. PLEASE NOTE: We do not allow anonymous comments nor do we allow comments to be posted by non-registered users; thus, posting a comment on this site signifies the user’s understanding and agreement to have his or her public user information (i.e., site user name and affiliated email) that was created when registering on this site to be publicly displayed along with the user’s comment. We do not use Google AdSense Advertising on our website. We utilize Google Analytics on our site to measure demographics and interests of our users. We, along with third-party vendors such as Google use first-party cookies (such as the Google Analytics cookies) and third-party cookies (such as the DoubleClick cookie) or other third-party identifiers together to compile data regarding user interactions with ad impressions and other ad service functions as they relate to our website. You can change your personal information by emailing us, by calling us at 484-266-0702, or by logging in to your account on this website and updating your profile information. This document was last updated June 6, 2018.